Do you find that your self-doubts hold you back and negatively impact your income? Do you sometimes feel unheard and not taken seriously? It doesn’t have to be this way. Discover how three simple yet important keys will help you quickly boost your confidence in any situation, be seen, heard, and appreciated, and improve your relationships. 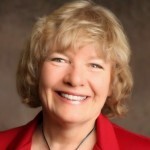 Join ACHPros.com host Jenny rice as she talks with Peggy Ness, professional trainer, coach, Emotional Freedom Technique (EFT/Tapping) expert, and author. She works with business and professional women who are tired of feeling small and having their self-doubts hold them back and negatively impact their income. Using her unique feminine success system, “Launching Your Passion,” she helps them to very quickly turn that around. She helps them to boost their confidence so they can increase their income, impact, and success. With an extensive background of almost 30 years in the addiction counseling field, Peggy specializing in the inner work that creates outer wealth and success.